Jacques Attali’s 1977 book Noise is foundational to the critical study of music. Re-reading Noise through Michel Foucault’s 1976-79 lecture courses on neoliberalism and biopolitics, Professor James shows that Attali’s concept of “repetition” (late capitalism) is best understood as a theory of neoliberal political economy, and that his notion of “composition” is not a solution to the problems of neoliberalism but their culmination, what philosopher Shannon Winnubst calls the “biopolitics of cool.” Though composition is not an alternative to neoliberal cool-hunting, we can still look to musical practices for possible alternatives to deregulatory normalisation. Might blandly regularized averageness–what Professor James calls ‘uncool,’ or what K-Hole calls “normcore”–be a way to undermine neoliberal imperatives to cultivate and exploit excess? Or, is uncool available only to subjects whose inflexibility and non-adaptability will be seen as an individual choice, not a group-based pathology? That is, is “uncool” labor a viable option only for white people–and thus not really a counter-hegemonic practice at all? To address these questions, Professor James considers two musical performances of white “uncool”: Spandau Ballet’s “True” (1983) and Taylor Swift’s “Shake It Off” (2014). Robin James is Associate Professor of Philosophy at UNC Charlotte. She is the author of Resilience & Melancholy: Pop Music, Feminism, and Neoliberalism (Zero Books, 2015) and The Conjectural Body: Gender, Race and the Philosophy of Music (Lexington Books, 2010). Her work on feminism, race, contemporary continental philosophy, pop music, and sound studies has appeared in The New Inquiry, Noisey, SoundingOut!, Hypatia, differences, Contemporary Aesthetics, and the Journal of Popular Music Studies. She is also a digital sound artist and musician, and often works as a member of citation:obsolete. 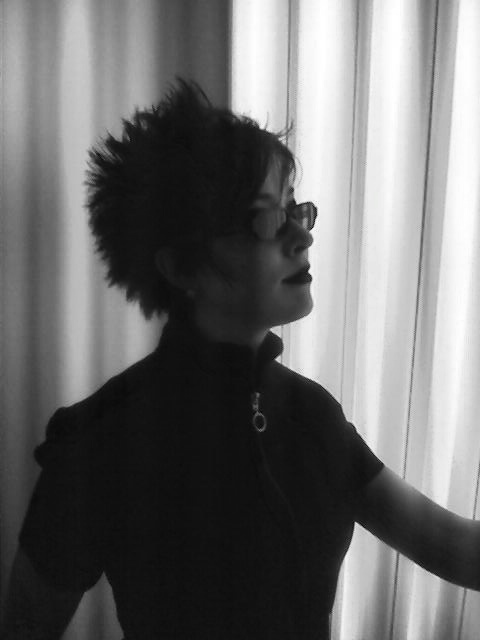 She blogs (www.its-her-factory.com) and is a regular contributor to Cyborgology & xcphilosophy.